We started off our Thrift Shop Day celebrations with a little pampering at a special eco-friendly beauty salon in downtown Vancouver, E-Style Beauty Spa. 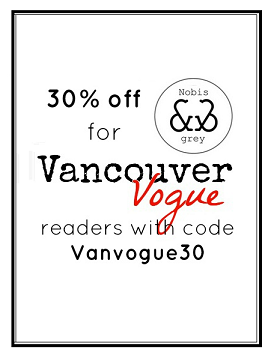 They use natural and health conscious products, which made for the perfect spot to get pampered with Value Village and Eco Fashion Week! 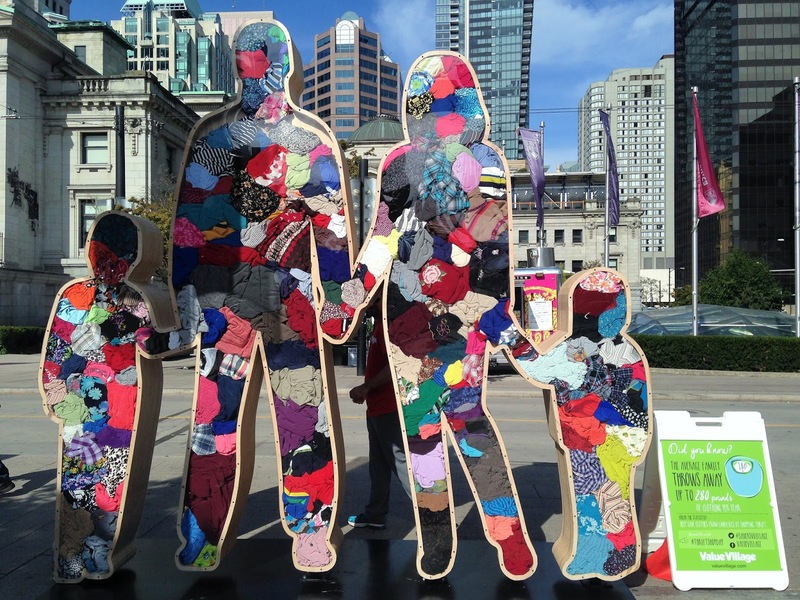 Value Village also created a very special art installation at Robson Square in Vancouver to for the special day, showing passer-by what 280 pounds of clothing looks like. Why 280 pounds? That's the average amount of clothing each family throws away each year. But Value Village is hoping to inspire people to break that statistic! You can help save all those pounds of clothing from going to our landfills by donating them to your local Value Village and shopping thrift. If you've never been thrifting before, it can definitely be a little overwhelming at first; there is a LOT of clothing and searching to be done, but when you find that perfect find, it's all worth it! You'll love the treasure hunt. Plus, you'll know you're supporting local charities and protecting the environment by donating and buying donated goods! And of course, it wouldn't be a full thrifting celebration without some Value Village goodies! Carefully curated in VV red, I am positively in love with their reusable shopping bags and heart sunnies <3 Also, candle lovers take note: this candle from Rewined is made from a recycled wine bottle! They're cut by hand and filled with premium natural soy wax, and given the most wonderful scent- this one in mimosa (how sweet!). This is honesty one of the best smelling candles I own- now I want to try their champagne scented candle too! In the spirit of reusing, you can also recycle the candle when it's all done.